Ranked by U.S. News & World Report as one of the nation's top pediatric hospitals, Children's Health is private, not-for-profit and licensed for 483 beds with more than 50 subspecialty programs. Rina zooms on a scooter, then grabs a hula hoop, all while talking about her spunky dog, Milo. 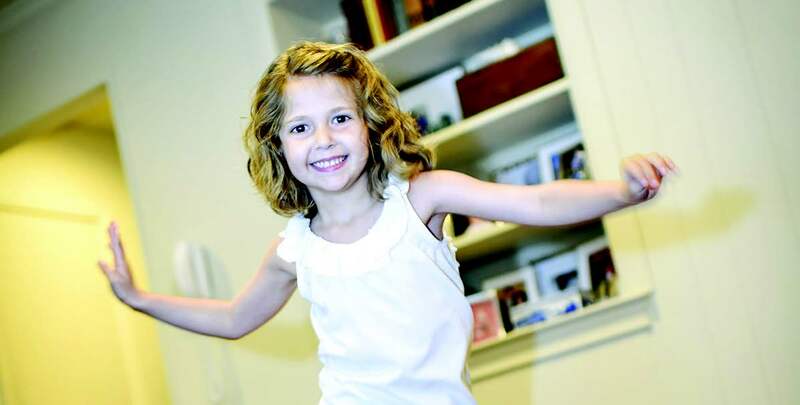 You'd never know that the Dallas first-grader had braved two surgeries and 42 weeks of chemotherapy, but she has four long strings of beads to prove it. The "beads of courage" are awarded to patients at Children's Medical Center when they have to do something challenging, like make it through a treatment or lie still for a scan. During surgeries, Rina has had a tumor and her bladder removed. Tubes now exit her abdomen directly from her kidneys. "That's her normal, so we're going to look at it as positive," her mother, Angela, said. At the hospital, Rina enjoyed opportunities to draw and paint as well as seeing the hospital's clowns and huge train set. "I feel so thankful that we were at Children's because I feel like there wasn't just one brain focusing on my daughter; there was a team," Angela said. she said. She said simple things, like a chaplain offering to sit with Rina so she could go for a walk, were a great help: "It was very generous, to just have a second for myself." Ranked by U.S. News & World Report as one of the nation's top pediatric hospitals, Children's Health is private, not-for-profit and licensed for 483 beds with more than 50 subspecialty programs. It is the only pediatric designated Level I trauma center in Texas and a major transplant center. As the primary pediatric teaching facility for UT Southwestern Medical Center, the medical staff at Children's conducts research that is instrumental in developing treatments, therapies, and greater understanding of pediatric diseases.